Worshipping with Kenya’s Turkana tribespeople is glorious. They gather in circles under the shade of large Acacia trees, clothed in goat skins and semi-fluorescent fabrics. 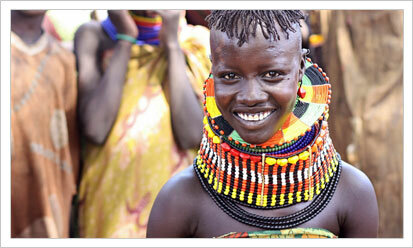 The Turkana women are ultra vibrant—necklaced with layers of brightly-shaded beads. Their colorful attire must be an intentional juxtaposition to the drab desert hues of their arid homeland. With the aid of a solitary drum, everyone begins to clap their hands and sing praises to God in their native Turkana tongue. Before long, young and old are dancing, leaping into the air on every third beat, and desert dust rises around them. The hellish heat cannot quench their heavenly exuberance! Two of Heaven’s Family’s staff members, Jeff Trotter and Jody Walter, spent time last month serving materially poor Turkana believers. 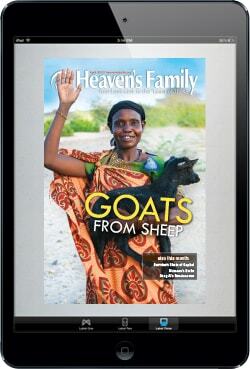 They witnessed Turkana celebrations, all due to the sacrifices of Heaven’s Family’s partners. 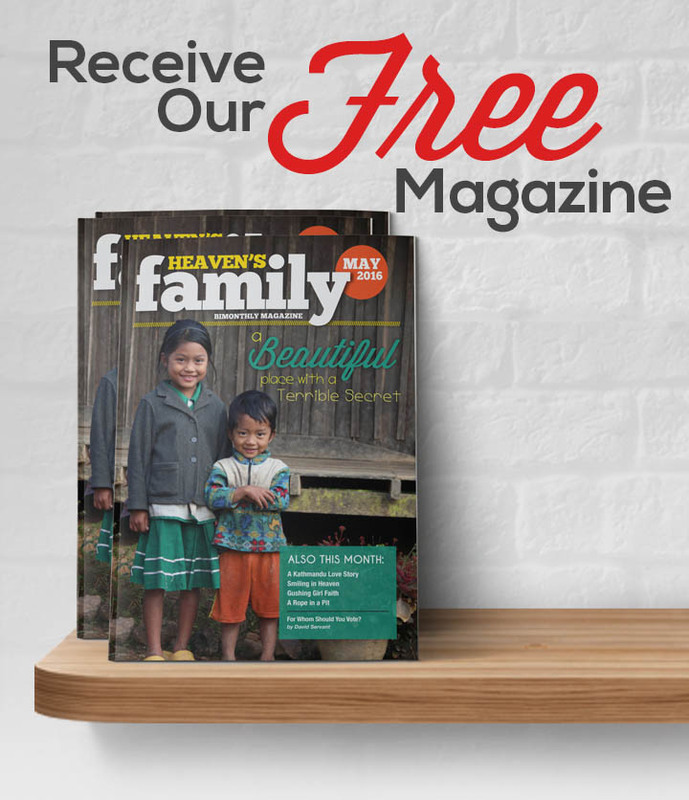 In an ongoing effort to help the many orphanages that we assist to become more self-sufficient, we’ve been offering some of their directors loans to help them start small, self-sustaining businesses. 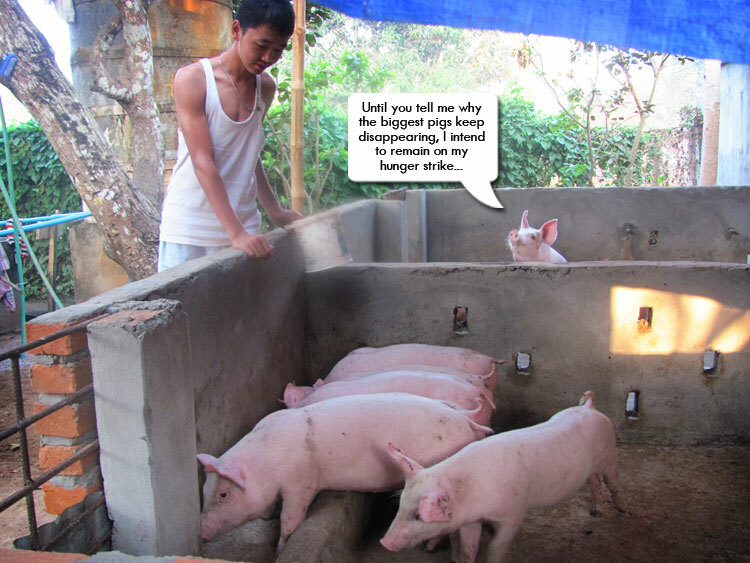 This photo, which seemed to beg for a funny caption, was sent to us by one of our orphanage directors in Myanmar who has begun raising pigs for profit.